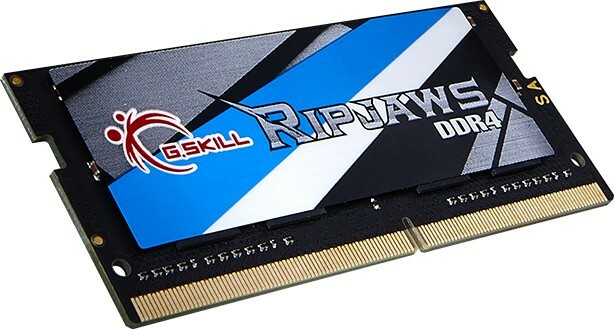 G.SKILL International which is the world’s leading manufacturer of memory and other computer peripherals introduce their new line up of DDR4 SO-DIMM within Ripjaws series. This new Ripjaws series speed upto 2800Mhz and available for 64GB (4x16GB). This new lineup Ripjaws series made with specially hand-picked components from G.SKILL and rigorous and highly selective binning process, that’s mean this new DDR4 kit is highly tested and guaranteed maximum performance. This new series of DDR4 SO-DIMM have the facility of auto overclocking, which is automatically detect and set the overclock speed at the time of memory installed. So with this new feature user can enjoy the performance boost without dealing with bios settings. This new DDR4 SO-DIMM require only 1.2v to run, so it’s also reduce the power consumption as well as lower heat level help your system to run cooler.